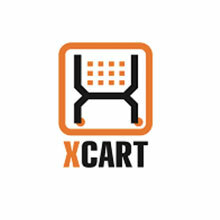 X-Cart is an easy way to get your eCommerce store up and running, but unfortunately there is no easy way to export your X-Cart products to Google Shopping. We’ve Built a Powerful Way to Get X-Cart Products Exported to Google Shopping! Exporting a X-Cart feed to Google Shopping should be easy, but unfortunately it often has many problems. X-Cart for Google Shopping only allows manual exports and imports to the Google Merchant Center, which can be incredibly tedious with thousands of products to manually configure. Even if you can get an X-Cart feed created for Google Shopping, you should still do optimization on it beforehand in Feedonomics to ensure that your titles are fully optimized (include brand, color size, and other important attributes). With Feedonomics you can easily create a Google Shopping feed dynamically regardless of how many products are in your inventory. 3. You can export to an FTP or URL file that Feedonomics can then pick up.